We are so excited to announce that our model homes are now open. 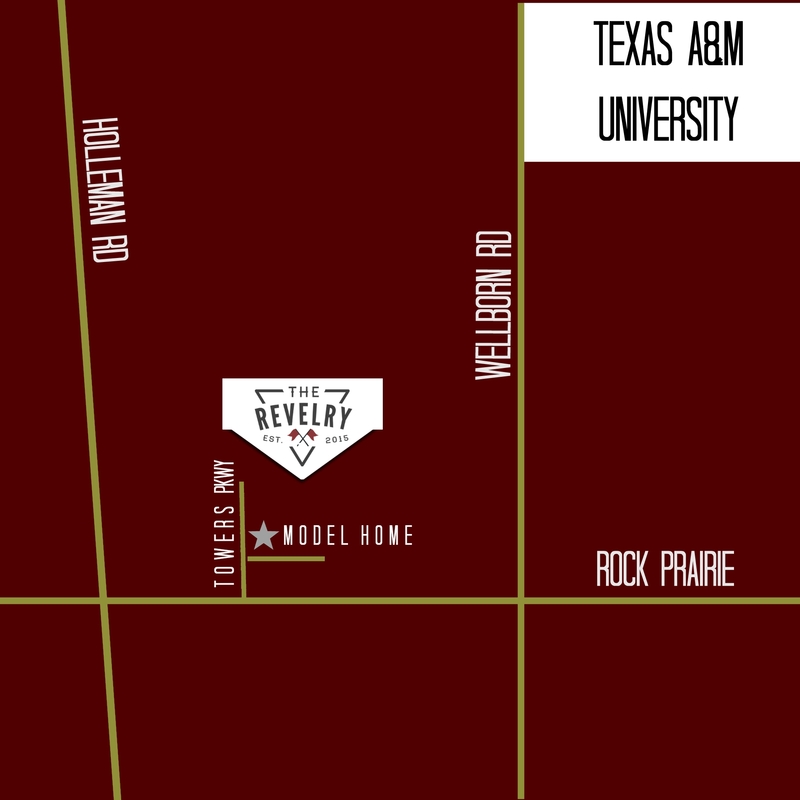 The Revelry is located just down from Wellborn off Rock Prairie at 3536 Summerway in College Station. We are open Monday through Friday 10 to 6:00pm and 10 – 3:00pm on Saturdays. We have three model homes available for tours (3532, 3534 and 3536 Summerway). If you have any questions, our sales and leasing office are located in 3536 Summerway. We are also currently leasing for the Fall so make sure to ask us about our leasing specials. If you’re interested in scheduling a showing or appointment, call us at 979-255-2788. Come experience luxury living at The Revelry.